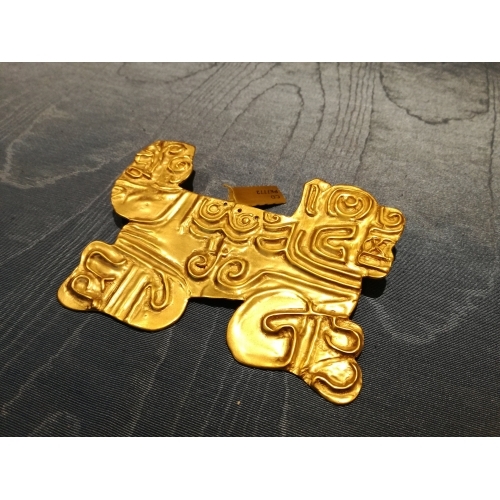 Luis Alberto Cano's Aztec Pendent made in Tumbaga, an ancient Precolombian alloy. The quality of the materials used and the value of the workmanship is such that the jewels are guaranteed for life. 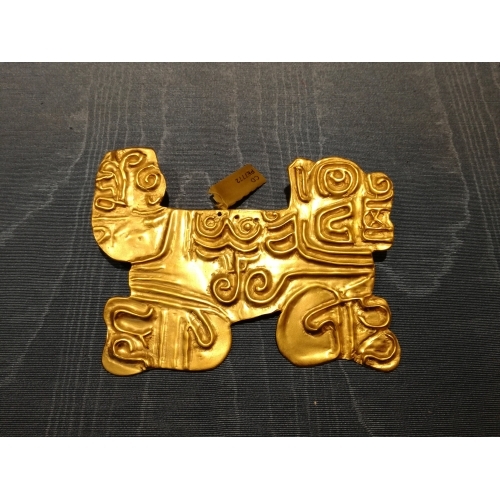 This Aztec Pendent is of Inca - Chimü culture and is exhibitede in the Gold Museum of Lima. 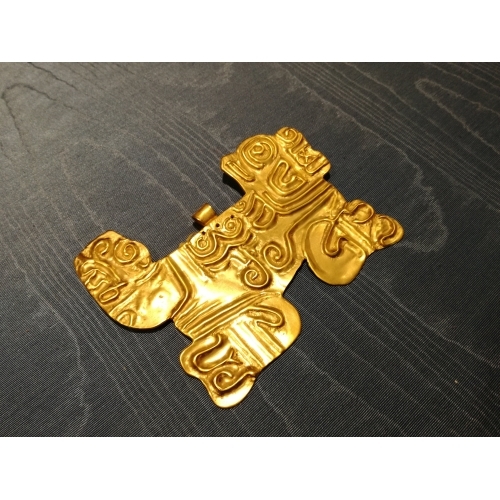 The assigned period and from 1200 d.C to 1500 d.C. Place of origin Pacific Coast.